Requirements: Hey guys! 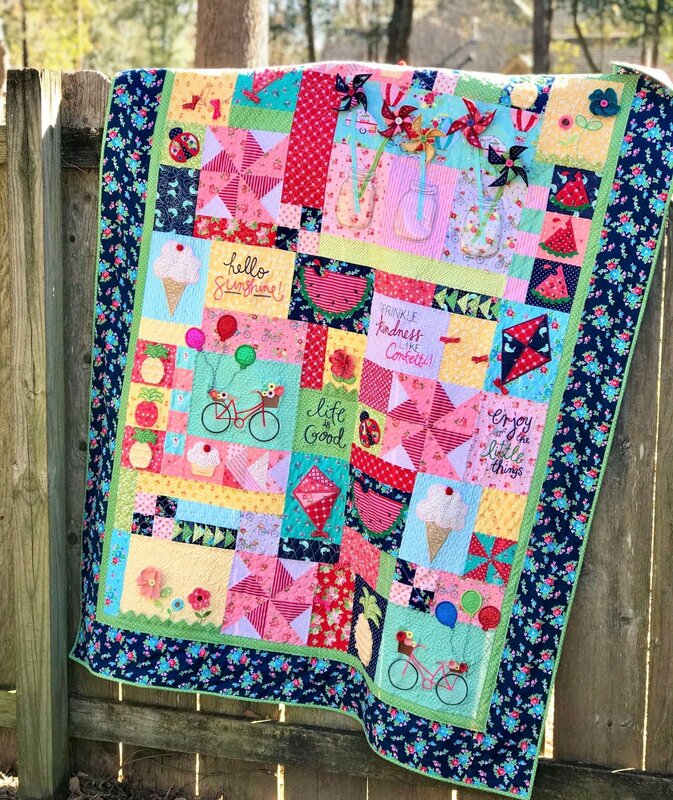 In this second class, we're going to make the following blocks: - Chenille pineapples - Sentiment blocks - Bike Blocks * if time permits, we will also knock out the watermelon blocks. in addition to your fabrics, please be sure to bring: - your tearaway stabilizer - small good snips for the chenille blocks - a seam ripper for the fringe technique - your shape flex interfacing that was included in your kit. - the following hoops: 4x4, 5x7, 9x9 (not necessary but will save on stabilizer when we double up on pineapples. you can use a larger hoop instead), and 6x10 If you want to prep (but you don't have to!) this saves a little time: - cut your yellow squares for your pineapples according to page 9 in your book. you'll need 4 yellow 3 1/2 x 3 1/2 squares for each of the 3 yellow pineapple blocks. Feel free to mix up the yellows you use. You can also cut (4) 5 x 5 1/2 yellow pieces for the large pineapple.